Get off on the “Write” Foot with this Poem in My Pocket | California Kindergarten Association. This week’s Tuesday Teaching Tip comes to us from first grade teacher and CKA Board Member, Deborah Meng. 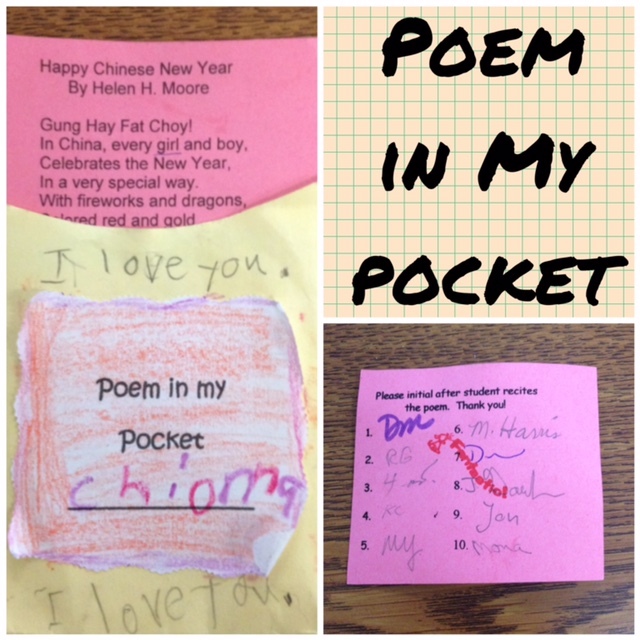 If you missed her fabulous Tuesday Teaching Tip, Poem in My Pocket, you’ll want to check it out first and then come back to this post. Books are great! Books are fun! Books let you do what you’ve never done! Books are cool! Books are in! Books let you go where you’ve never been! Write a good mystery, solve a crime! Write about history, go back in time! Write about outer space, land on Mars! Write about an auto race, zoom with the cars! Write about a haunted house, shake your knees! Write about a cat and mouse, run for the cheese! Write about a lost dog, where can it be! Write about a giant frog, under the sea! Write a very funny book, blues go away! Write a bright, sunny book on a rainy day! Write a good night book, just before bed! Let a sleep-tight book dance in your head!